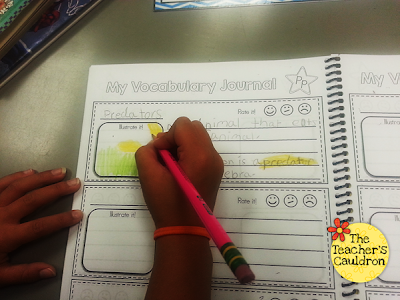 We finally started our Vocabulary Journal today!! 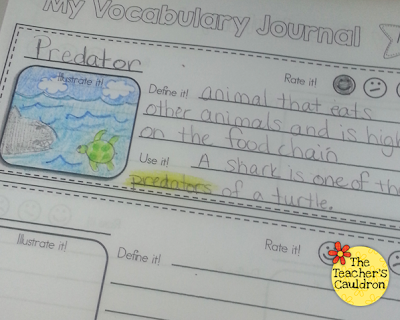 I just got our Vocabulary Journals back from the print shop copied, bound, and ready to use! 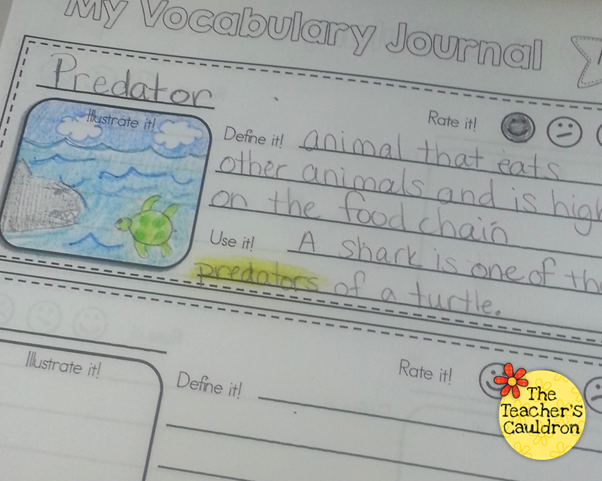 So today, while working our Habitat For Sale unit, we were planning our writing sheet, and stumbled across a word for our vocabulary journals! They are going to have to use this word in their writing, so it was a word I really wanted to make sure that they knew. 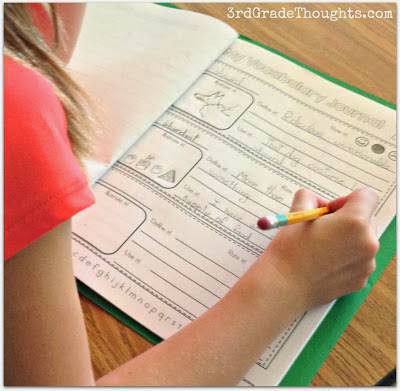 What I like about my journals is that since words are really cross-curricular, it's a free-for-all journal, that way they can use the journals in any subject area, just like our phonics dictionaries. I want them to color the words with their yellow crayon to highlight the words so they stand out. (I don't have them use a real highlighter because I don't want it to bleed through. And did you see Stephanie's blogpost on how she uses it?? It's great! Go check it out! She shows you how she uses it with her "Word of the Day." I usually just do the 2 pages per letter...but then I put an extra page in the back for my overflow. As the company increased, locally and also worldwide, it integrated mybkexperience official site Making a livelihood is a vital thing in one's life however squandering.